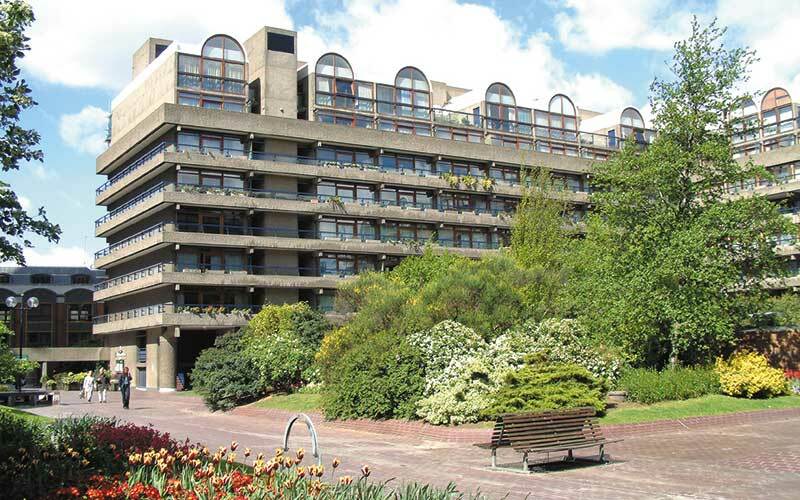 Nestled in the City of London, Barbican is a neighbourhood at the very heart of London life. Nestled in the City of London, Barbican is a neighbourhood at the very heart of London life. It is perhaps best known for its Grade II listed residential estate, constructed during the 1960s and 70s. The pedestrian walkways of the Barbican estate take people away from the bustle of the streets surrounding it, providing a sense of peace and quiet. Barbicans proximity to the financial centre of the capital and its excellent public transport links makes living in Barbican a great option for city dwellers. The architecture of the Barbican estate itself is a significant attraction in the area, but the Museum of London and St. Pauls Cathedral are nearby, as are the Bank of England Museum and Mansion House. 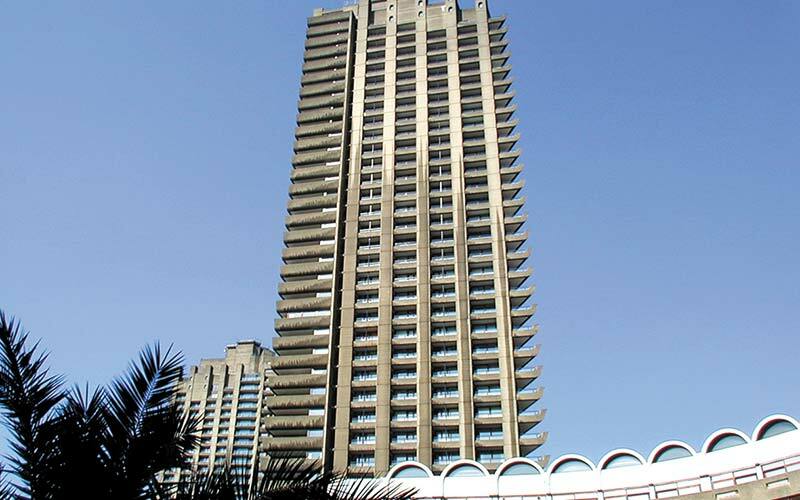 Barbican Arts Centre is the largest performing arts centre of its type in Europe and hosts music concerts, theatre performances, film screenings and exhibitions. Barbican Arts Centre is the largest performing arts centre of its type in Europe and hosts music concerts, theatre performances, film screenings and exhibitions. There is also a library and three restaurants. Barbican is close to Islington, with its many bars, restaurants, and vibrant theatre scene, including Sadlers Wells and Almeida theatres. The 13 terraced blocks of the Barbican estate have been constructed around green squares, as well as a lake. The landscaped setting of the estate is complemented by a number of squares and gardens, including Finsbury Square Garden and the historic Charterhouse Square. Anyone looking for Barbican property will appreciate how well connected the area is. Immediately to the west of Barbican is the A1, traditionally the main route to the North and now connected to the motorway system. London Wall road, to the south, runs from the Rotunda junction at Aldersgate in the west and then reaches east past Moorgate until it joins with Wormwood Street, leading to Bishopsgate. 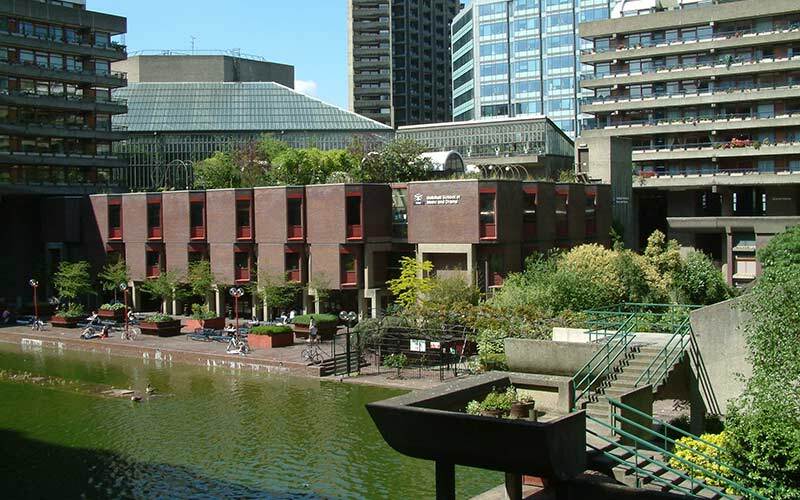 The Guildhall School of Music and Drama is located within the Barbican estate itself and brings a vibrant mix of performing arts students to the area. The University of Law - London Moorgate, and Cass Business School, are also based nearby. There are many primary and secondary schools in and around Barbican. Primary schools include The Charterhouse Square School and St. Pauls Cathedral School. Secondary schools include Central Foundation Boys School and City of London School for Girls. Nearby hospitals include St. Bartholomew's and Moorfields Eye Hospital NHS Trust. Barbican Station is a stop on the Circle, Hammersmith & City and Metropolitan lines, conveniently linking into the wider underground network and national rail lines. Moorgate station is also nearby, as is St. Pauls on the Central line. Kings Cross/St. Pancras, with its international rail services, is just two tube stops to the west of Barbican. Liverpool Street is two tube stops to the east. The above data is based on the average value of a 500 sq ft one bedroom apartment and a 750 sq ft two bedroom apartment in the resale market for the Barbican area. The above data is based on the average value of a 500 sq ft one bedroom apartment and a 750 sq ft two bedroom apartment to rent in the Barbican area. do you own property in Barbican?